Kevin got a package today … and it wasn’t something he ordered. And when he opened it? 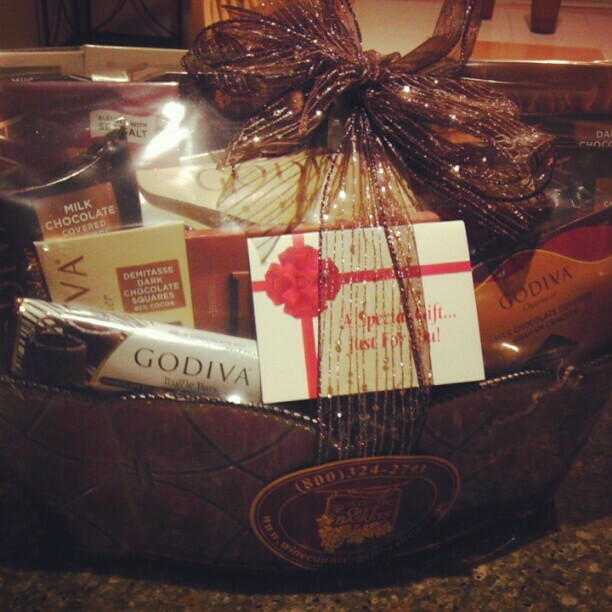 It was a basket full of Godiva chocolates. I’m pretty sure they came from his old boss. I shall kiss that man’s feet the next time I see him. 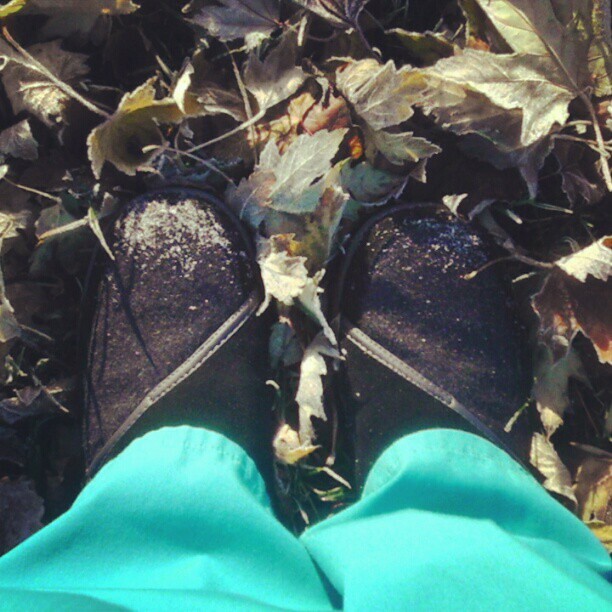 I have to admit, wearing scrubs has advantages. One, you don’t have to stress about what you’re going to wear everyday. The only thing I have to worry about is wearing the right color on the right day. Two, it’s like going to work in your pajamas. SUPER comfortable. They’re also easy to clean (like if dribble coffee on yourself) and they dry super fast. But. There are draw backs. You’re working in your pajamas. So it’s easy to forget that you have a waistline, there are no restrictions. Until you put on jeans … then you remember. (This is part of my 100-word thought category – because short entries are better than no entries).